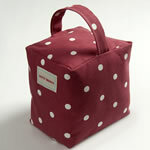 Dotty Brown offers a wonderful handcrafted collection of vintage inspired fabrics, oilcloth, home furnishings and gifts. 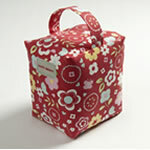 This is a great place to find unique fabric square door stops. 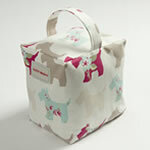 Their current collection is fairly small but you can choose between floral, spotty or Scottie door stop patterns. All their doorstops are carefully made with an inner bag of kiln dried sand, wrapped in soft polyester fibre and their size is 18 x 15 x 14 cm approx. 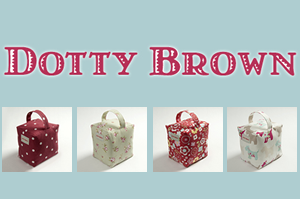 Dotty Brown has also got an extensive cotton fabric collection with prices from as little as £9.99 per meter so we highly recommend you to take a sneaky peak! 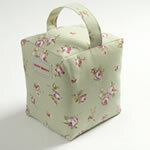 Their products will gradually be added to our different collection of fabric door stops and cotton fabric.